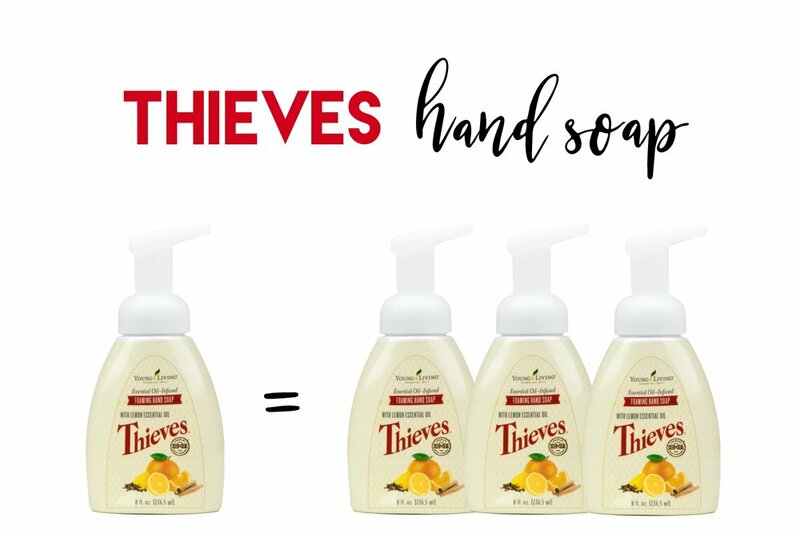 How To Triple Your Thieves Hand Soap! Making the most of you Thieves Hand Soap is super simple and budget friendly! As a wholesale member with Young Living Essential Oils, one bottle is going to cost $13.25. But with this simple hack, you're going to get THREE bottles, driving the cost down to a mere $4.41 per bottle! Really want to save a buck? By ordering the large bottle of Thieves Hand Soap, you'll get 12 bottles worth for just $3.29/bottle! Want to try your hand at making your OWN foaming hand soap?